2 Year Blogiversary And The Best Giveaway Ever! Two years ago today, I started Never Not Knitting. Little did I know back then what this blog would turn into or what fun it would bring to my life. 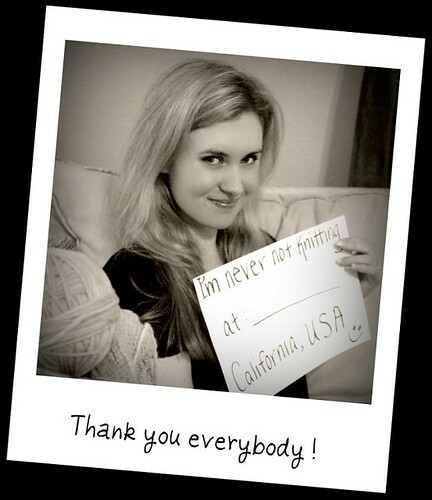 In honor of my two year "blogiversary" I would like to extend a thank you. Thank you to all of you who regularly visit me, who comment on my posts, who support my blog sponsors. It's been such a pleasure for me to meet so many fantastic knitters from all over the world. In order to get to know my readers better, I would like to announce 2 new drawings! All you have to do in order to enter drawing #1 is to leave a comment under this blog post. Please tell me in your comment how you found the Never Not Knitting blog and how long you've been a reader. That's it! The prize for drawing #1 is going to be a compilation of NeverNotKnitting patterns, yarn, and other sweet treats! I know that I have a lot of readers from all around the world. I would love to put some faces with the names. Entering drawing #2 is going to require a little more effort than drawing #1 but, believe me, it's worth it... the prize is going to be huge...huge...HUGE! The prize for drawing #2 is going to be a box of goodies including designer knitting patterns, skeins of yarn, a gift certificate, buttons, a row counter, a tee-shirt, sweet treats, the entire Never Not Knitting pattern collection, and knitting notions bags. This prize and contributor list may be added to as time goes on!! 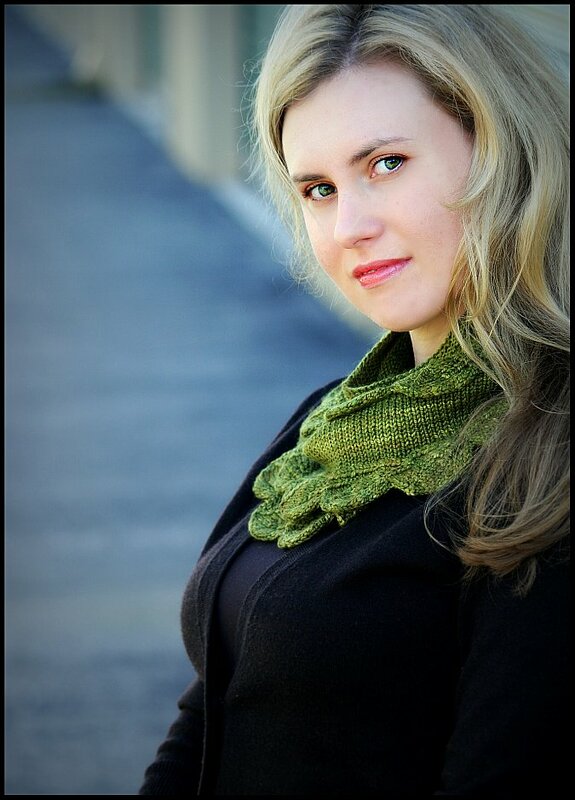 What you need to do to enter drawing #2 is to email me a picture of yourself in your favorite knitting location. You'll need to be holding a sign that says "I am Never Not Knitting at" and then put where your favorite place to knit is (like the name of your local yarn shop, etc). Also put where you are from...State/Province and Country is great! When the drawing is over, I will be compiling all of the photos into a large collage to be shared in a future blog post on NeverNotKnitting.com. It'll be so fun for me to see pictures of all of you! You can enter both drawings #1 and #2, but only enter each drawing once. Drawings both end at 11:59PM PST, December 15, 2009. I will randomly choose a blog comment for drawing #1 and an emailed picture for drawing #2 to determine the winners. I will announce the winners on the blog on December 16, 2009. 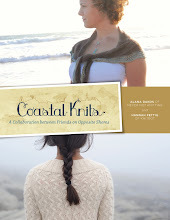 Thank you so much for sharing my knitting adventures with me over these past two years! 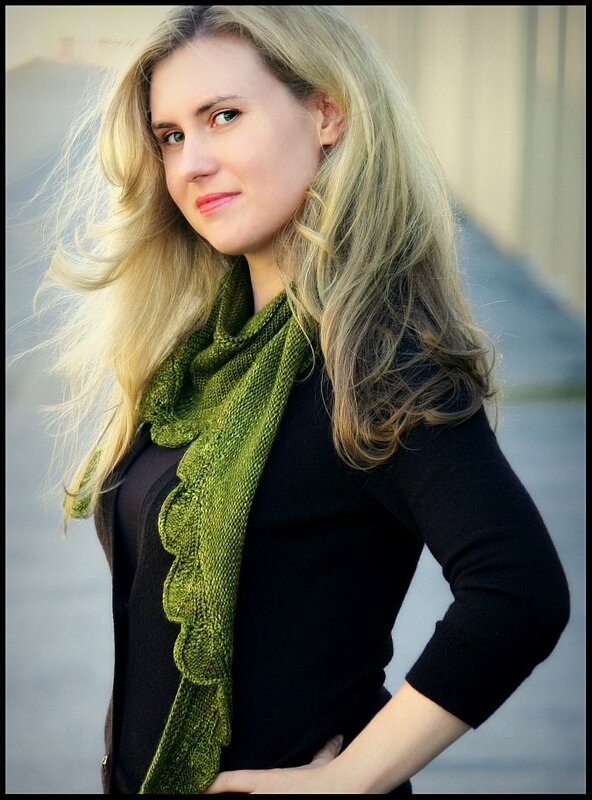 Please Join The Cedar Leaf Shawlette Knit-a-long! *Don't forget to enter this episode's yarn drawing! One Planet Yarn and Fiber is offering free US shipping to all NeverNotKnitting podcast listeners and blog readers until Dec. 15th, 2009. Be sure to enter the promotional code "NNKship" in the checkout process! Congratulations to Episode 27's drawing winner, Anita! She won a skein of Malabrigo worsted! Click here to download the MP3 of Episode 28. 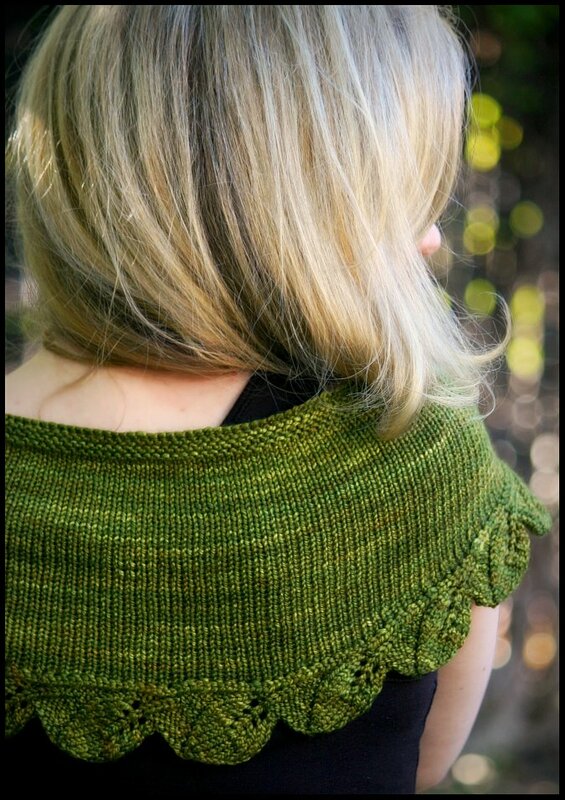 I am so happy to announce that my Cedar Leaf Shawlette pattern is now available for purchase. This is a tiny crescent shaped shawlette that drapes beautifully around your shoulders and looks absolutely stunning wrapped around your neck as a scarf. This design marries my two favorite things in the whole world. The color green and knitted leaves. I couldn't love it more! The curved stockinette st body is created through the use of short rows, and the beautiful leafy border is knit onto the body of the shawlette after its completed. I found the construction to be very easy. No seaming. No picked up stitches. As you can see, the shawlette is quite versatile. It can be successfully worn several different ways. I wore mine out for the first time today. It was wonderfully soft and it added a vibrant accent to my winter outfit. I really want to wear it every day. Would people think I was weird? Length: 54 inches from end to end. Width: measures approx 8 inches at widest point of center including leaf border. 20 sts/36 rows = 4" in Stockinette stitch on size 7 needles or size needed to obtain gauge. 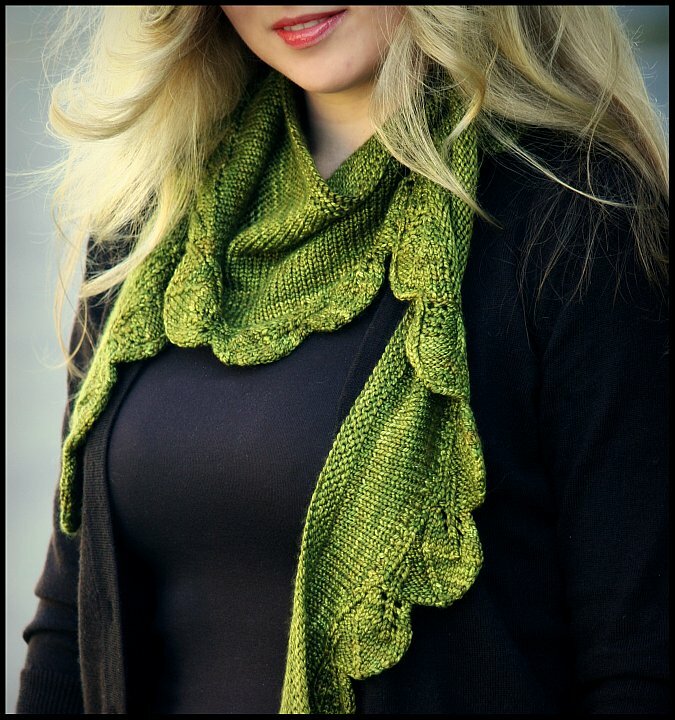 This pattern includes instructions for short row shaping. I found a couple of good instructional videos highlighting this method here and here. 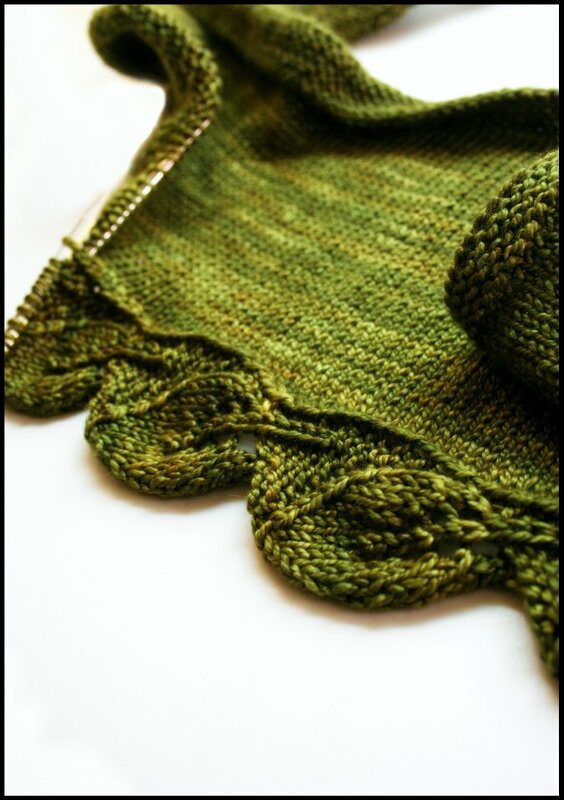 You can also find a great video showing how to hide the wraps on the purl side here. 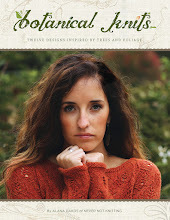 Cedar Leaf Knit Kits are available here through One Planet Yarn and Fiber. 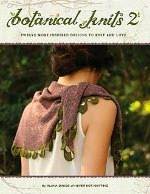 I really hope that you enjoy knitting up a Cedar Leaf Shawlette of your very own. 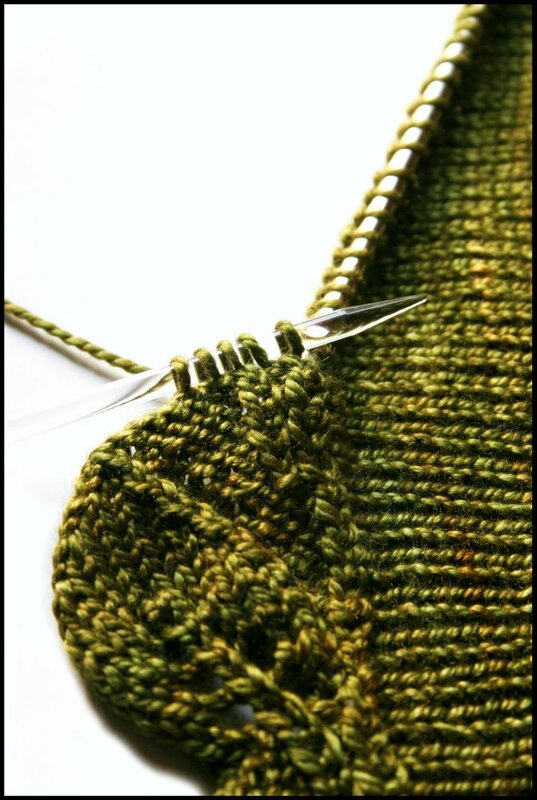 Im going to be starting my second one shortly and invite you all to knit-a-long with me here on Ravelry. Pattern is now available in French! 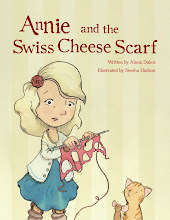 Click here to purchase the french translation. Pattern is also now available in Dutch! Click here to purchase the dutch translation. I have a new design on the needles... and I am loving every stitch. Check back soon for more progress pictures! Dancing Ewe Yarns is offering all NeverNotKnitting blog readers and podcast listeners 10% of the entire selection of Malabrigo yarns through December 1, 2009. Just enter in the special code "NNK1" in the checkout process! Congratulations to commenter "3 Dogs and a Chinchilla" the winner of last episodes podcast drawing to win a skein of O-wool balance from Dancing Ewe Yarns! Click here to download the MP3 of Episode 27.